Palakollu is a town in West Godavari district of the Indian state of Andhra Pradesh. The town is the headquarters of Palakollu mandal. Palakol or Palakollu was originally known as Kshiraramam or Kshirapuram or Palakolanu or Upamanyapuram. In 1613, the Dutch built their first Indian factory at Palakollu, which was temporarily abandoned in 1730. Part of Dutch Coromandel, it was a trading post for textiles, lamp oil, wood, roof tiles, and bricks. Under the 1783 Treaty of Paris, the town was ceded to the British, but the Dutch continued to rent it from them until 1804. In 1818 it was formerly restored to the Dutch only to be ceded again to the British in 1824. Palakollu is also known as Trilinga Desam, the region bounded by three lingas (Srisailam, Draksharamam and Kaleswaram) The most famous Ksheerarama is one, of the five, Pancharama Kshetras and is located in Palakollu, state of Andhra Pradesh, India. Lord Shiva is known locally as Ksheera Ramalingeswara Swamy. The Sivalinga was established by Lord Vishnu. It is believed that staying one day in Ksheerarama is equivalent to staying one year in Varanasi. The famous Sri Lakshmi Ganapathi Navagraha Subrahmanya Aalayam, temple located at Brodipeta 2nd Lane in Palakollu. The presiding deity is Lord Ganapathi in the divine form of Lakshmi Ganapathi, along with the Navagrahalu & Subrahmanya Swamy deities. APSRTC operates buses from Palakollu to major cities like Hyderabad, Vizag, Vijayawada, Tirupati etc. Three express trains service the town, which is on the Narsapur – Vijayawada railway route. 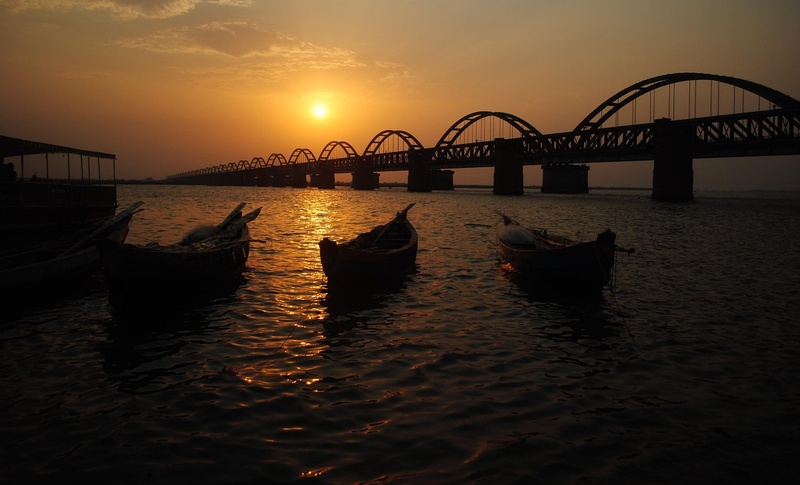 A bridge was built on Vasista Godavari near Chinchinada 8 km away from Palakollu connecting East Godavari & West Godavari Districts of Andhra Pradesh, which makes it a part of National Highway 214. Palakollu railway station is classified as a B–category station in the Vijayawada railway division of South Central Railway zone.